JoAnn F. Axford: A Pottery Easel! 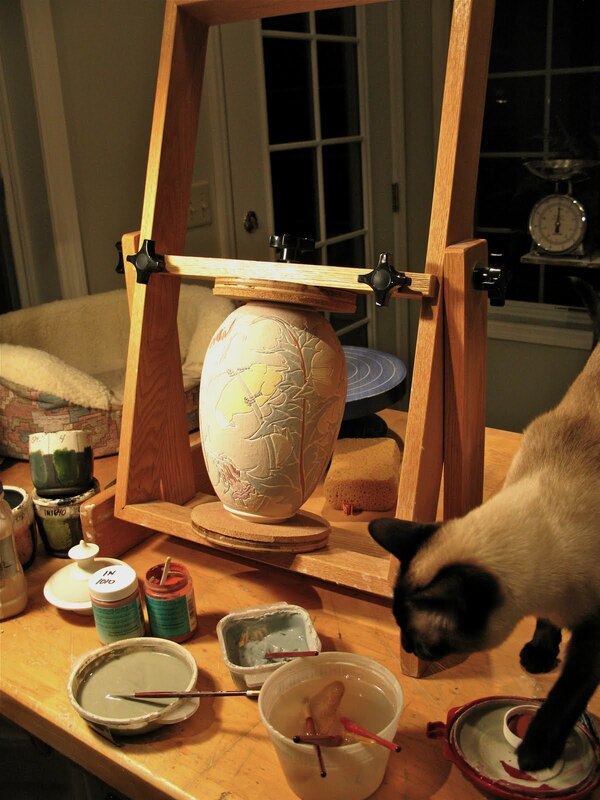 Have you ever seen a pottery easel before? I found a photo of one on the internet years ago and found a woodworker to build one for me. 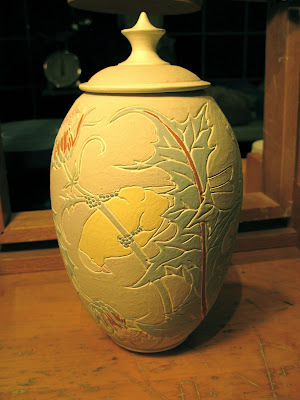 At the time I thought that I would be able to use it to hold my pots when carving them at the leatherhard stage. That didn't work because the pressure to hold the pot was too much for the leatherhard porcelain. Then I figured out how handy it is when glazing my raku work. You can see my cat named "Raku" helping me glaze this new piece "Thistle and Goldfinches"
Here is the piece, glazed and ready to fire tomorrow. Two years of MUD COLONY !! !